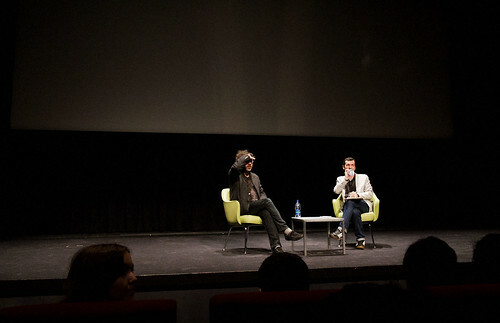 Yesterday afternoon, director/artist Tim Burton made an appearance at the Bell Lightbox in Toronto to open a 16-week exhibit celebrating all of his wacky, dark, whimsical work thus far. Some of his greatest films include "Sweeney Todd: The Demon on Barber Street", "Edward Scissorhands", and the recent "Alice In Wonderland". Burton: "I never really went to a museum. A wax museum, maybe. I felt like it was an out-of-body experience. Like, there's your dirty socks hanging on the wall. There's something strange about it. "I'm not dead yet. Hopefully there's still more to come."